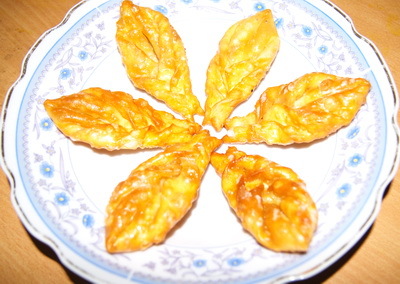 Pan pitha is an easy recipe but with delicate look. You can soak it in 1 sting or 2 siting syrup. Both of them have unique taste. 1. Dissolve the salt in water and mix flour, egg and oil with it. 2. 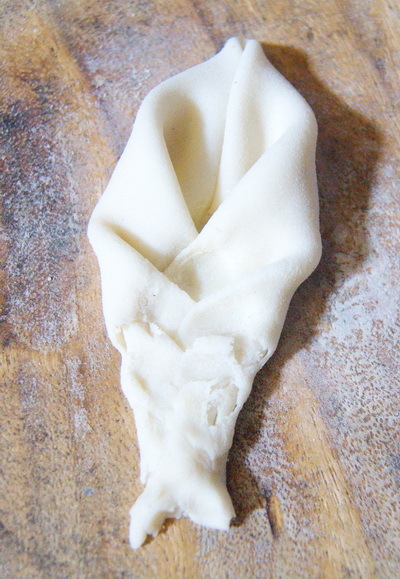 Knead well and make smooth dough. Cover it and keep aside for 10-15 minutes. 3. Heat the pan with sugar and 2/3 cup water and make 1 sting sugar syrup. 4. Divide the dough into 12-15 balls and roll the ball . 5. 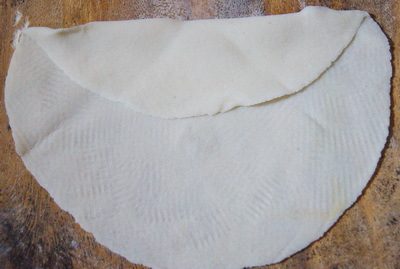 Make thin flat bread and fold 1 edge like the picture. 6. 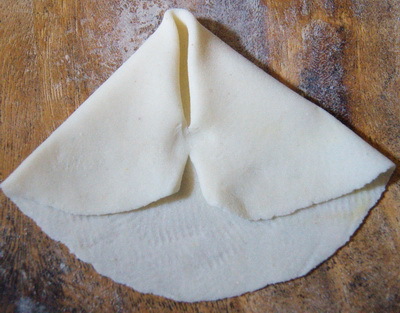 Then fold two sides into the middle and press with your finger to seal it. 7. 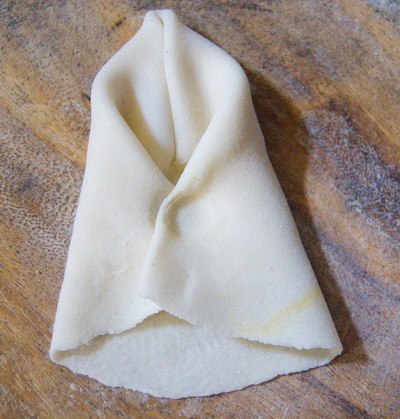 Fold same way twice more and cut the end like fisk tail. 8. 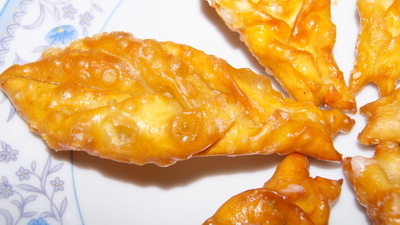 Fry it in oil and soak in syrup 5-7 minutes. 9. Repeat the process with rest of balls. 10. Serve Pata pitha/sweet leaf or store it for 5-7 days. Thanks. I got 2 well done in one-day!!! 2/3 cup water with sugar and make thick syrup. Thanks.